Once you find a level, solid spot to build a backyard ice rink, lightly pack a one inch base of snow. This will be the barrier between the grass and ice. Next you will create the border of the ice rink. Use wood boards, PVC pipe, or packed snow to do so, and make sure the border is at least three inches high. The ice will need to be at least three inches to bear the weight of an average adult. If you think skaters will want a border to hold on to, build it up past the three-inch mark. For a larger rink, secure the corners with ice rink brackets. 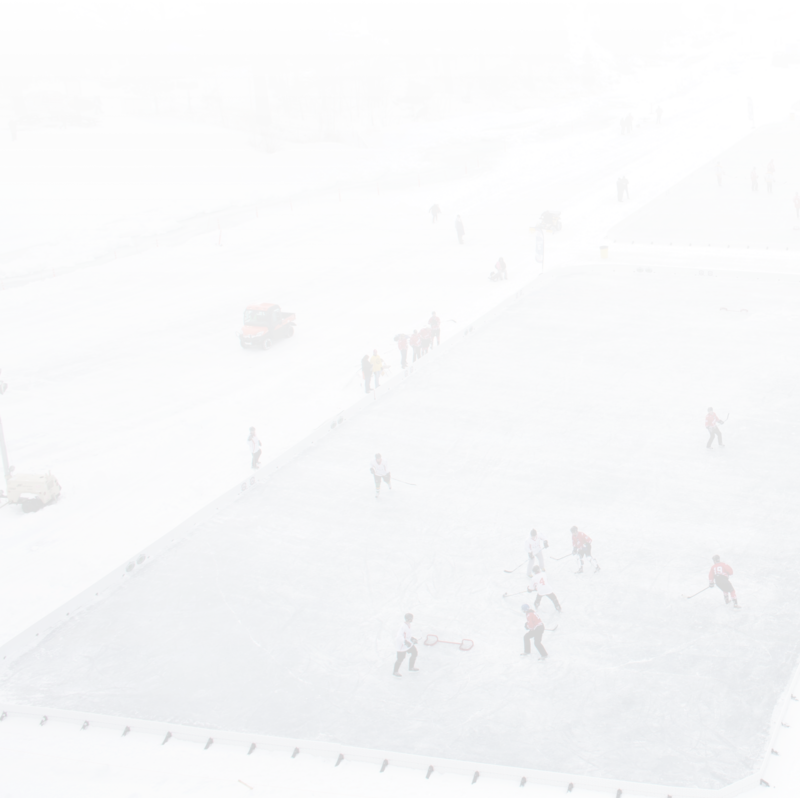 You will need a backyard rink liner, which can be made of an ice layer or a sheet of plastic or tarp. The liner keeps water from soaking through to the grass. If you want to create it with ice, lightly spray your snow layer with ice and allow it to freeze a few times. Once you have a solid base and sturdy sides, you can flood your homemade ice rink. The temperature needs to be about 20 degrees Fahrenheit for at least three days in a row to solidly freeze. When you fill it, remember that the ice needs to be at least three inches thick in the rink's lowest parts. Use a water-snow slush mix to fill in any gaps or holes and allow it to freeze. You and your family are ready to skate! Check regularly that the ice is thicker than three inches and be aware of any cracks or holes that develop in the rink. When the temperatures start to rise and you need to drain your ice rink, remove the snow banks and boards around its edges to allow the water to run off. You can speed up the melting by breaking up the ice and spreading materials like charcoal on the surface. With snowfall and chilly temperatures, winter can be a difficult time to get the family out and about. Only about one in five homes have a park or fitness and recreation center within a half-mile, according to the U.S. Department of Health and Human Services. When you build a backyard ice rink, you create a center for family fun just a few steps from your back porch.